Nicknamed “Seattle’s Original Neighborhood,” Pioneer Square sits on the Southern outskirts of the city’s bustling downtown district. Settled in 1852, it’s rich with old world charm and Richardsonian Romanesque architecture. We love it for its history, but we’re also pretty impressed at how it’s grown and evolved to meet its current residents’ needs. 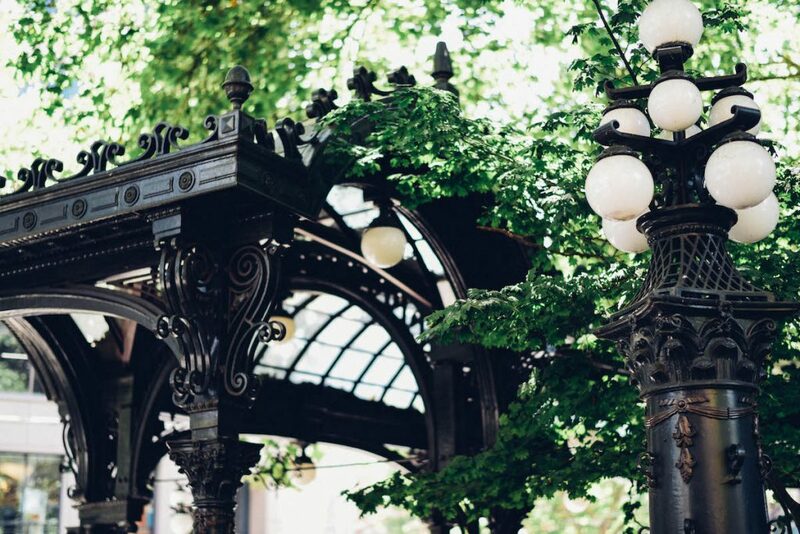 Here are some of our favorite spots in Pioneer Square. This historic station, built in 1904 to serve the Great Northern Railway and Northern Pacific Railway, boasts a gorgeous, ornate interior. Stepping into King Street Station, with its original terrazzo tile floors, and Beaux-Arts architecture feels like traveling back in time. It’s a “must-see” for history and train buffs alike. King Street Station: 303 S. Jackson St.